For this issue of Paulina (the annual magazine of St Paul's Girls' School), we designed a bespoke font on the theme of 'Waves' to work for the drop cap for the start of each article. 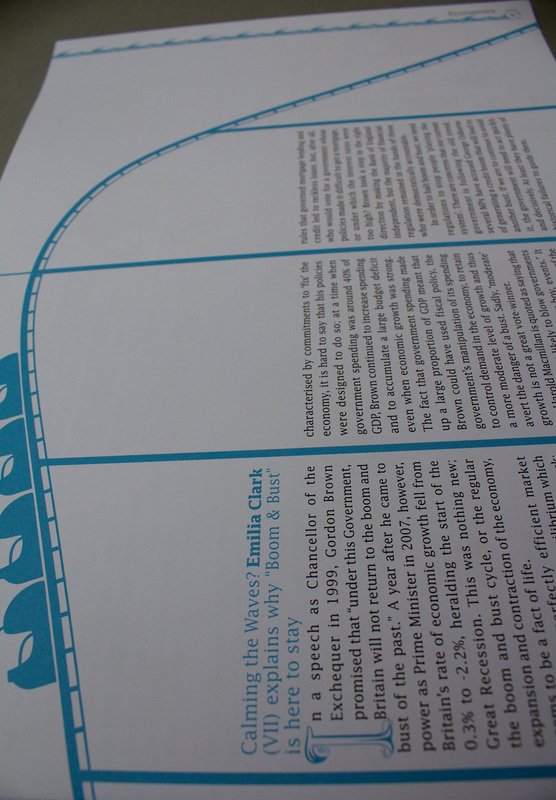 The style of the drop cap was developed to create the illustrated 'wave' page border. Other visual features include a roller coaster with a flag of Gordon Brown to illustrate the boom and bust economy; a wave-like drawing of Verdi; a lonely whale and a ballot box and 'wavey' sea depicting a wave election.